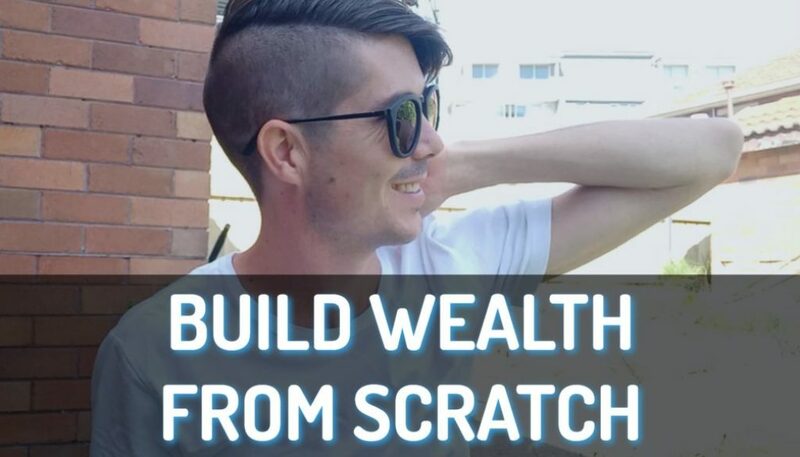 Positive cash flow properties are seen by many investors as a great way to develop passive income and to hopefully achieve financial freedom. But do positive cash flow properties actually exist in Australia or they are only in other countries like the United States? The short answer to this question is yes. 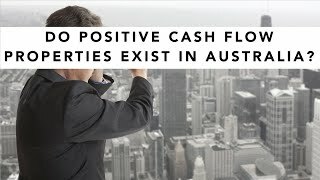 Positive cash flow properties do exist in Australia. I know they exist because my job is to help people find positive cash flow properties. I run a membership site where I list positive cash flow properties every single day so my members can see that they do actually exist. But the long answer to this question is that they can be difficult to find especially if you don’t know what you’re looking for or where you should be looking. So they do exist but they are difficult to find if you don’t know where to look. Today I am going to give you five tips on where you can find positive cash flow properties and some things that you can do to make finding positive cash flow properties a little bit easier. If you go to www.onproperty.com.au/251 you will see our episode there about whether or not you can get positive cash flow properties that also have the potential for capital gains (and the answer is yes you can but that’s even more difficult than just finding positive cash flow properties). 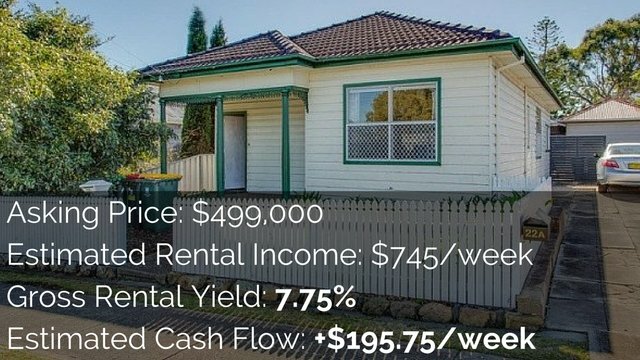 So the first thing that you can do to easily find a positive cash flow property in Australia is to go to www.realestate.com.au and search for blocks of units. Where it says “type of property” there is a drop-down list and there you can search for blocks of units. Now you want to limit your search to about $750,000 as the maximum purchase price. Then hit search and you will see a bunch of blocks of units mainly in rural areas or regional centres that are going to generate you a positive cash flow. If you want to see that they exist and you want proof that positive cash flow properties can be found then this is the easiest way to do it. Just go to www.realestate.com.au and search for blocks of units. The second thing you can do is search in rural areas. So go outside of Sydney or Melbourne or Brisbane or Perth and go into to the rural areas that surround those cities or that are in those states. For example if you’re in Sydney then why look into rural New South Wales? Have a look around that area at those particular properties. The smaller the area the more likely you are to generate a positive cash flow. However in regional centres (like large rural areas or a town like Wonga Wonga) you can actually find positive cash flow properties as well. Then you get the mass population and the security that comes with having a fairly significant population but you also get the benefit of properties that are cheaper and more likely to generate a positive cash flow. Rather than looking at all of the properties in an area you should limit your search and look for the cheapest of the cheap properties. I tend to stay away from units because units come with body corporate fees which can really blow out the expenses and ruin your cash flow. However if you are in a rural area or regional centre look then you should look at the cheapest houses that are on the market and find out how much they would rent for. I often find that when looking in an area that the cheaper the house is the higher the rental yield will be. Now this doesn’t mean it’s more likely to generate a positive cash flow. 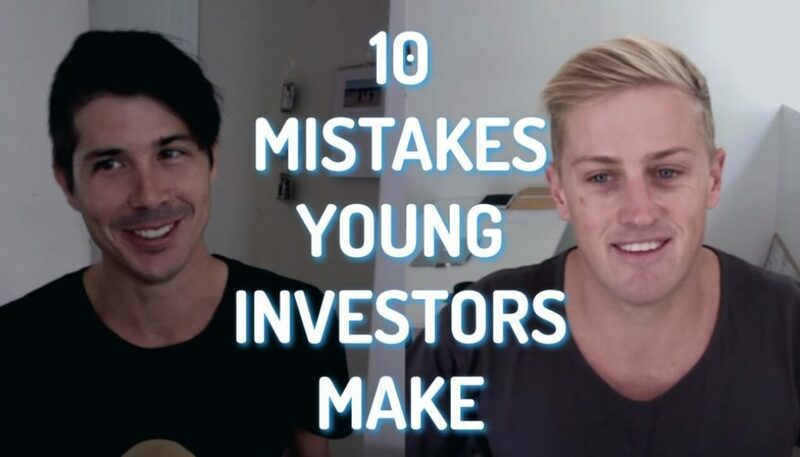 There is a strange situation where with the really cheap properties you kind of need a really high rental yield in order to generate a positive cash flow and for really expensive properties you don’t actually need that high of a rental yield. 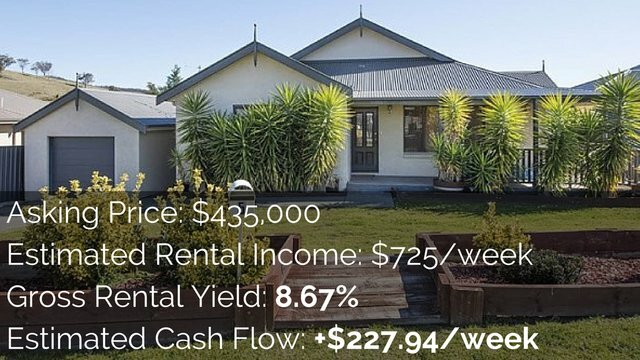 So you need to balance that out and have a look but you are more likely to get a higher rental yield property in the cheaper side of the market. From what I have seen granny flats don’t add significant value to the house. They can add value to the house but probably as much as they will cost to build so they don’t seem to add extra on top of that. However they do add extra income. 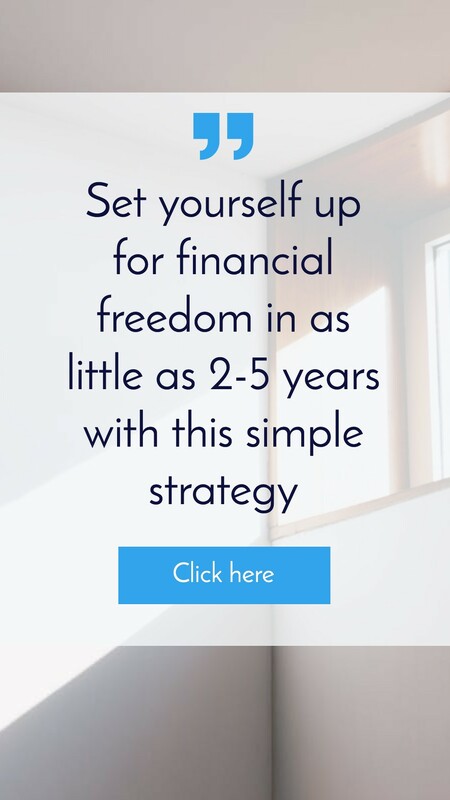 Because they’re not significantly more expensive than houses without granny flats, if you can get a property with a granny flat and get two incomes coming through the door then you have an increased chance of generating a higher rental yield. You would therefore generate a positive cash flow. 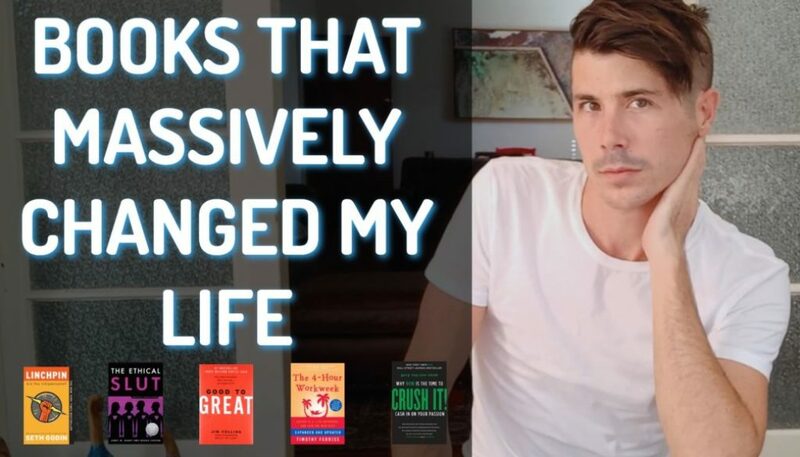 Many of the properties that I list in capital cities like Sydney and Melbourne are properties that have granny flats because that is one of the easiest ways to find positive cash flow property in capital cities. I therefore recommend that you have a look at properties with granny flats. You can use a tool like Real Estate Investar. If you want to check them out go to www.onproperty.com.au/freewebinar to check out their webinar and see what their tool does. But basically you can pull out any properties where the agent has mentioned a granny flat for that property and just look at properties with granny flats. The other thing you can do is search for your area and then add in the words “granny flat” into Google and you’ll find some that way as well. It is a bit more tedious to do it that way but it’s free whereas Real Estate Investar costs money. So don’t just assume that the property needs to be positive cash flow when you purchase it. You can go out there and create a positive cash flow for yourselves. Therefore look for properties that have the opportunity to generate a positive cash flow once you have improved it in some way. There you have five different tips on how to find positive cash flow properties in Australia and you now know that they do actually exist. If you want more in-depth training on exactly how to find positive cash flow properties and research areas then go to www.onproperty.com.au/free and get access to my free training on exactly how to do that. So unit tomorrow remember to stay positive!